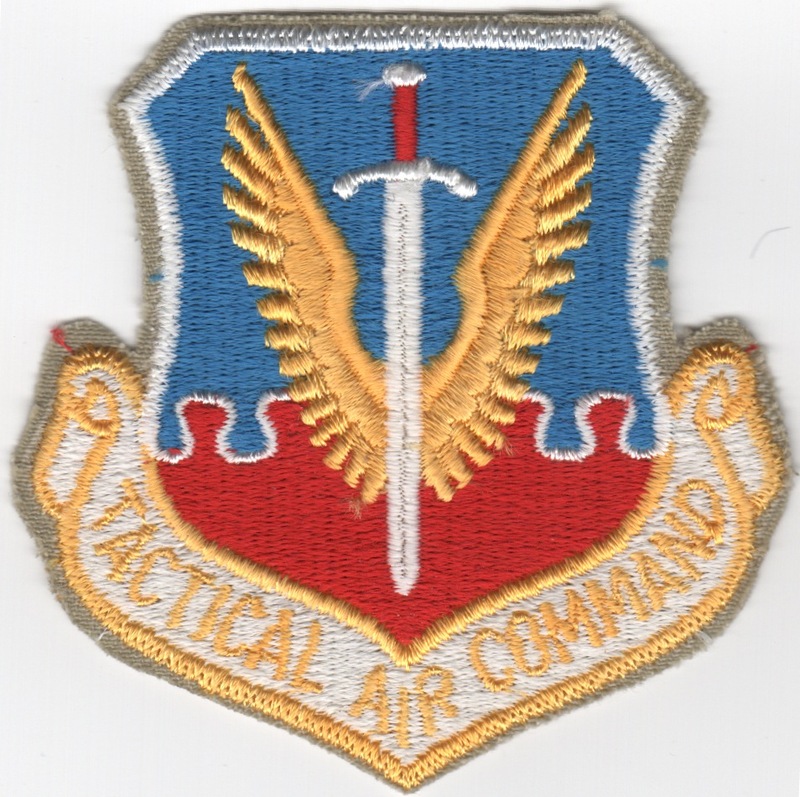 From the "Bill Ridley" collection, this is an original Tactical Air Command (TAC) Crest patch and does not have velcro attached. 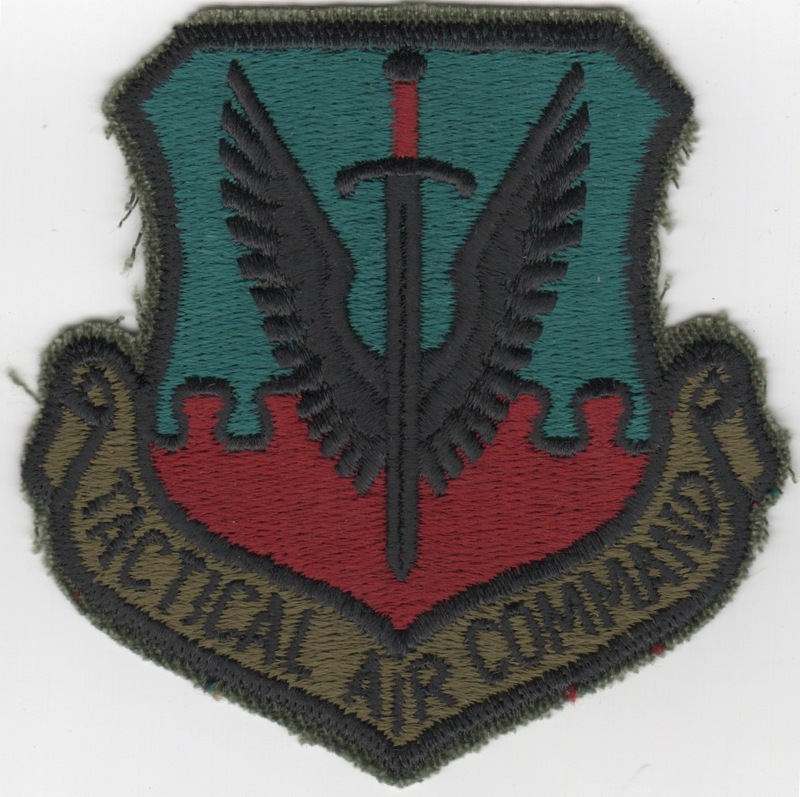 From the "Bill Ridley" collection, this is the subdued version of an original Tactical Air Command (TAC) Crest patch and does not have velcro attached. This is the color version of the 33rd Fighter Wing patch for the squadrons stationed at Eglin AFB, FL. This is the desert version of the 33rd Fighter Wing patch for the squadrons stationed at Eglin AFB, FL. This is the leather-bordered color version of the 33rd Fighter Wing patch for the squadrons stationed at Eglin AFB, FL. The 33rd Fighter Wing (33 FW) is a United States Air Force unit assigned to the Air Education and Training Command's Nineteenth Air Force. It is stationed at Eglin Air Force Base, Florida where it is a tenant unit. The 33 FW is an AETC training unit. Its main mission is to train U.S. Air Force, U.S. Marine Corps, and U.S. Navy pilots and maintainers on the F-35 Lightning II. The wing will reach full strength in 2014, with more than 2,000 military personnel and 260 contractors. Annual capacity is planned for 2,150 pilot and maintenance students. A minimum of 59 F-35A, F-35B, and F-35C aircraft supporting Air Force training in the F-35A, Marine training in the F-35B, and Navy and Marine training in the F-35C, as well as international partner training in the various versions of the aircraft. 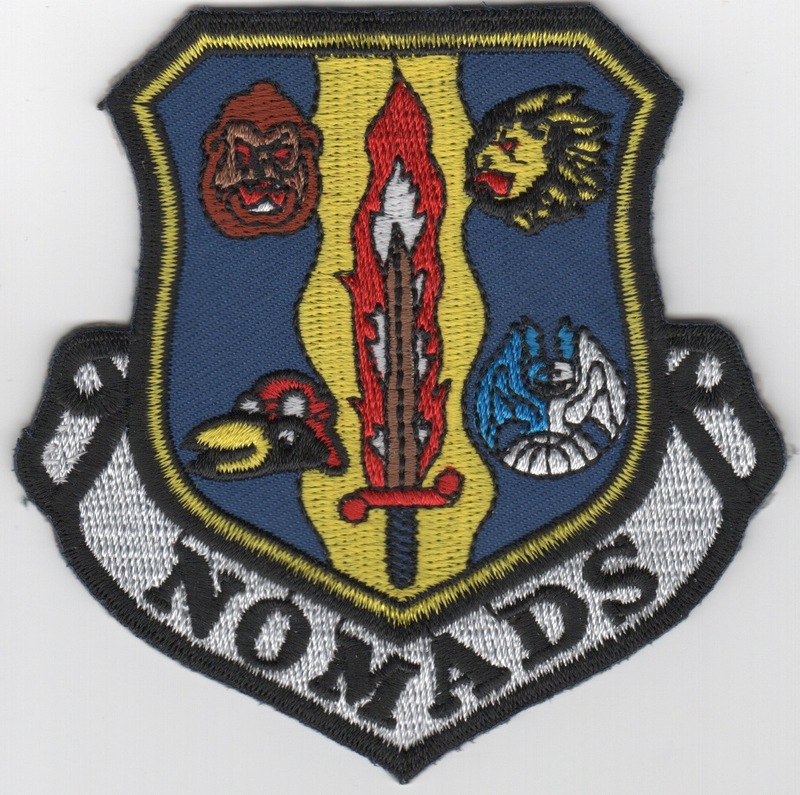 The 33rd (sometimes 33d) Fighter Wing, known as the "Nomads" for its constant travel throughout the world, has a long, distinguished history. 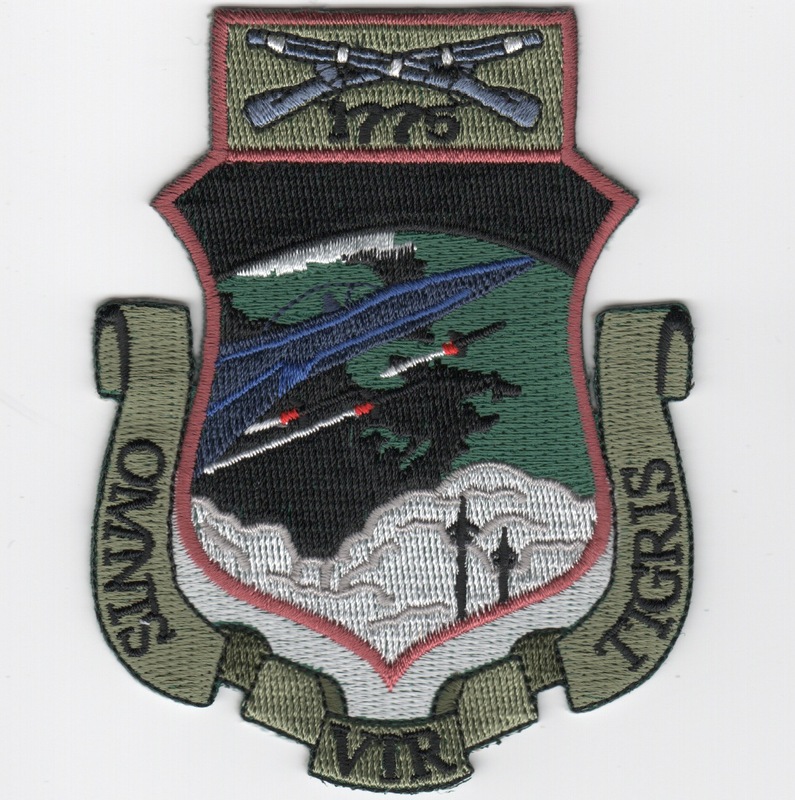 This is the "large-sized" version of the current color version of the shield patch for the 102nd Fighter Wing, the controlling authority for the Massachusetts Air National Guard that states "OMNIS VIR TIGRIS" at the bottom. This patch does not come with velcro attached. 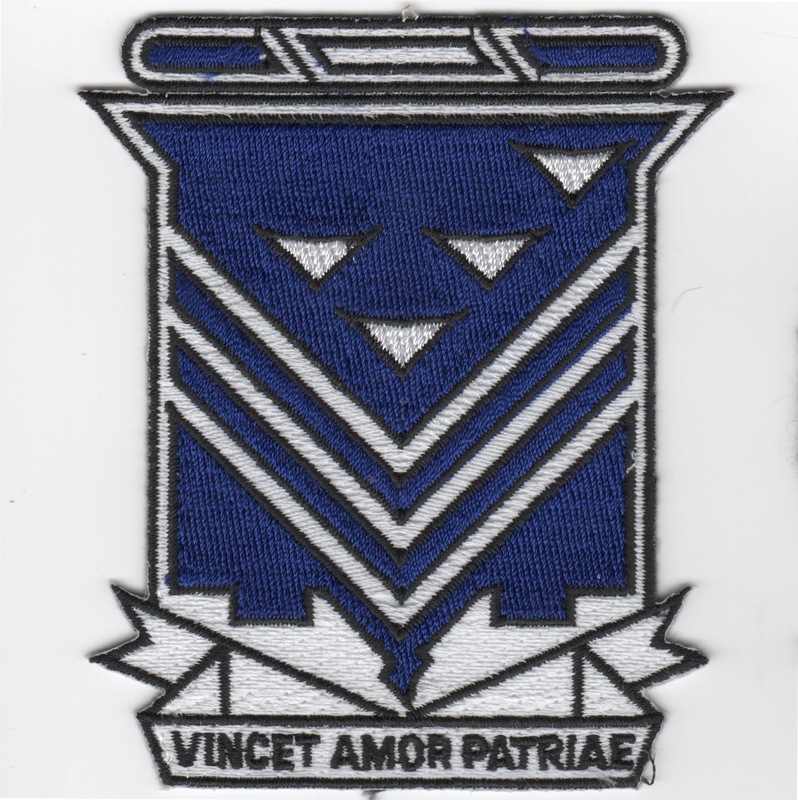 This is the "medium-sized" version of the current color version of the shield patch for the 102nd Fighter Wing, the controlling authority for the Massachusetts Air National Guard that states "OMNIS VIR TIGRIS" at the bottom. This patch does not come with velcro attached. 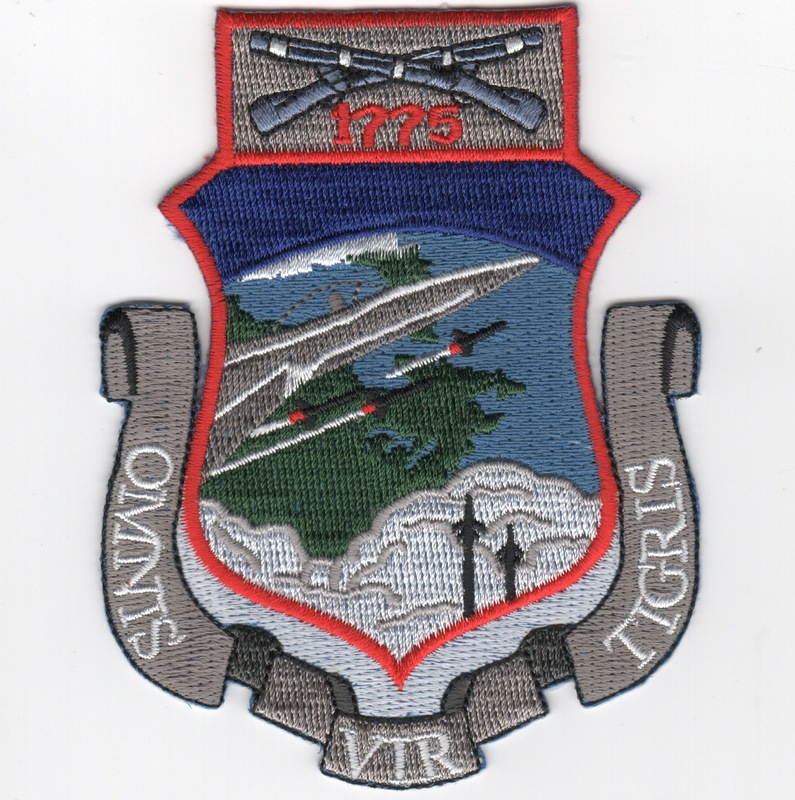 This is the "large" version of the current subdued version of the shield patch for the 102nd Fighter Wing, the controlling authority for the Massachusetts Air National Guard that states "OMNIS VIR TIGRIS" at the bottom. This patch does not come with velcro attached. 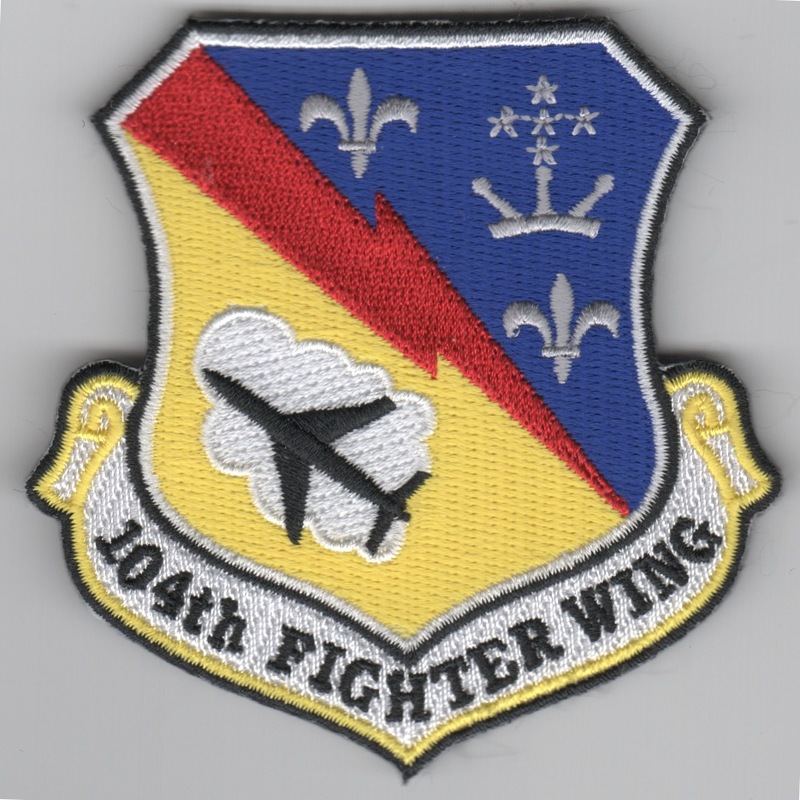 The 104th Fighter Wing (104 FW) is a unit of the Massachusetts Air National Guard, stationed at Westfield-Barnes Regional Airport (Barnes Air National Guard Base), Westfield, Massachusetts. The 104th Fighter Wing supports Air Force wartime contingency requirements and performs a variety of peacetime missions required by the Air Force to include an active Air Sovereignty Alert presence and compatible mobilization readiness. Specifically, the Wing is tasked to provide operationally ready combat units, combat support units and qualified personnel for active duty. Its goal is to organize, train and equip assigned personnel to provide an operationally ready squadron to the Air Combat Command that flies and fights successfully. This patch does not come with velcro attached. 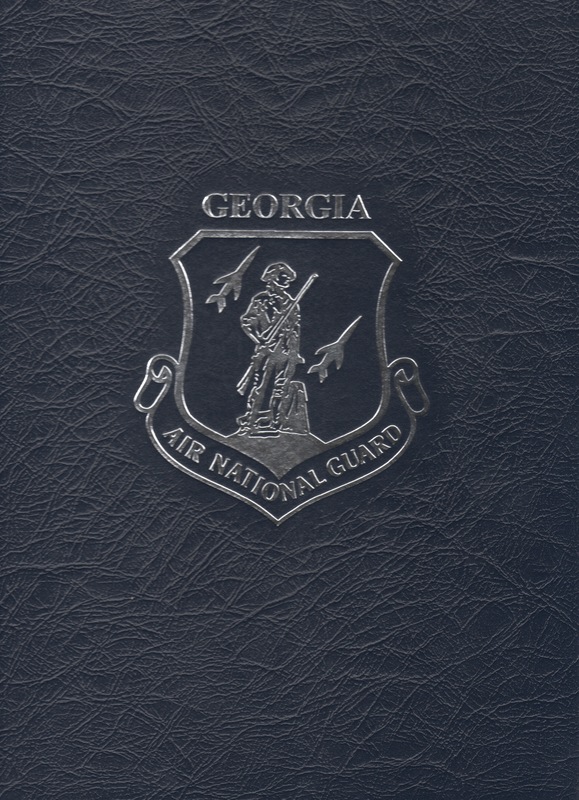 This book titled "GEORGIA AIR NATIONAL GUARD" written by Colonel Ridley was presented by the 128th Fighter Squadron at their 75th Anniversary celebration in July 2016. 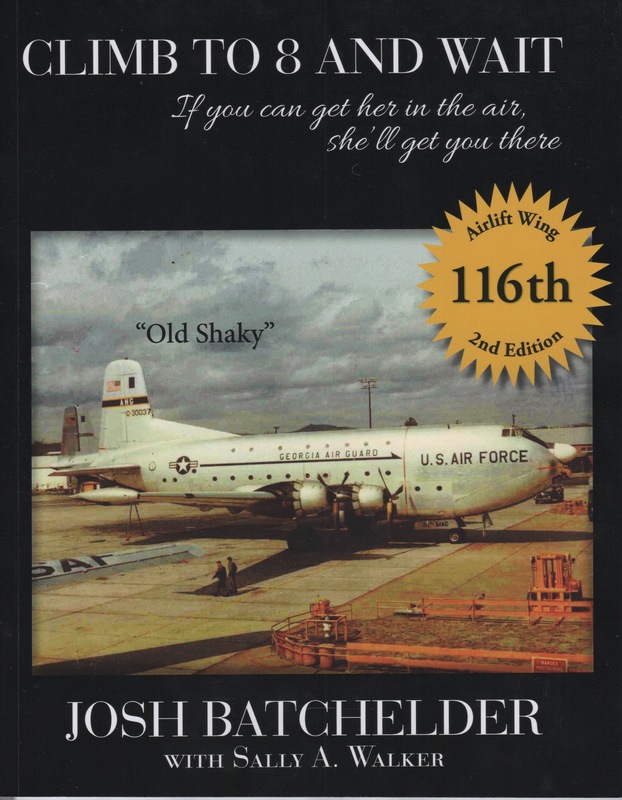 I was able to work a deal with the squadron to put this blue, leather-bound book on the website, offering this to you. It will be shipped from the squadron for you and this opportunity may not be around long because only a few were left, so get one while you can. Please allow me a few weeks to get the "Snack-O" to send it to you. 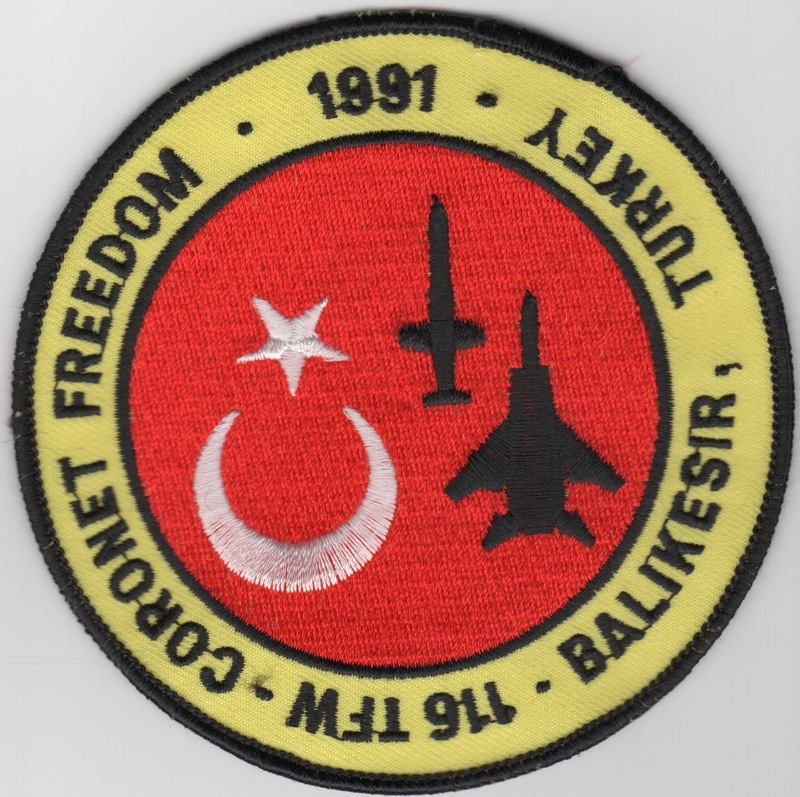 This is the 1991 Coronet Freedom patch created for the 116TFW detachment to Balikesir, Turkey. This is an original patch, not some reproduction. They were found (in very limited supplies) in a trunk at the squadron during their 75th Anniversary celebration in July 2016. Get one while they last, as these originals will be gone soon. This patch does not come with velcro attached. 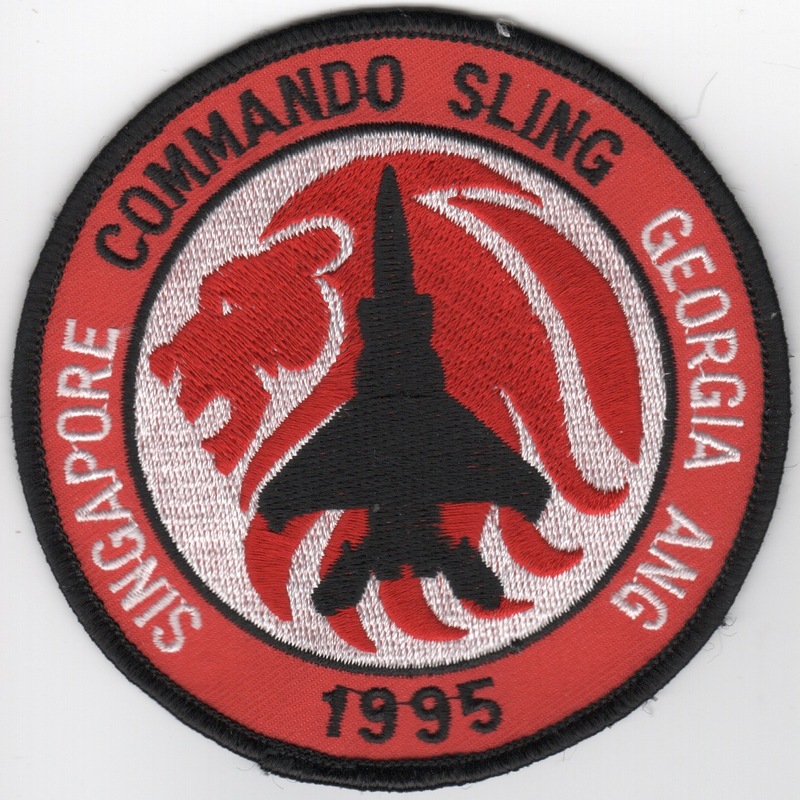 This is the 1995 Commando Sling patch created for the 116TFW detachment to Singapore. This is an original patch, not some reproduction. They were found (in very limited supplies) in a trunk at the squadron during their 75th Anniversary celebration in July 2016. Get one while they last, as these originals will be gone soon. This patch does not come with velcro attached. 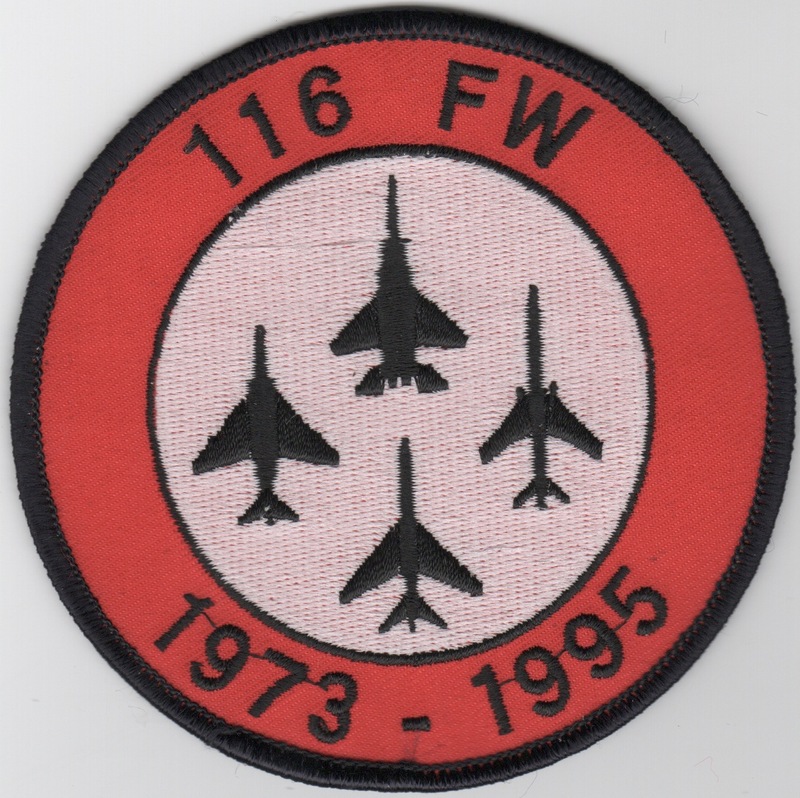 This is the 116FW 'Decomm to the Fighters' patch created when they transistioned from Fighters to the B-1B Bomber. It shows the four fighters flown (F-4, F-15C, F-100, F-105) with the dates 1973-1995 underneath. This is an original patch, not some reproduction. They were found (in very limited supplies) in a trunk at the squadron during their 75th Anniversary celebration in July 2016. Get one while they last, as these originals will be gone soon. This patch does not come with velcro attached. 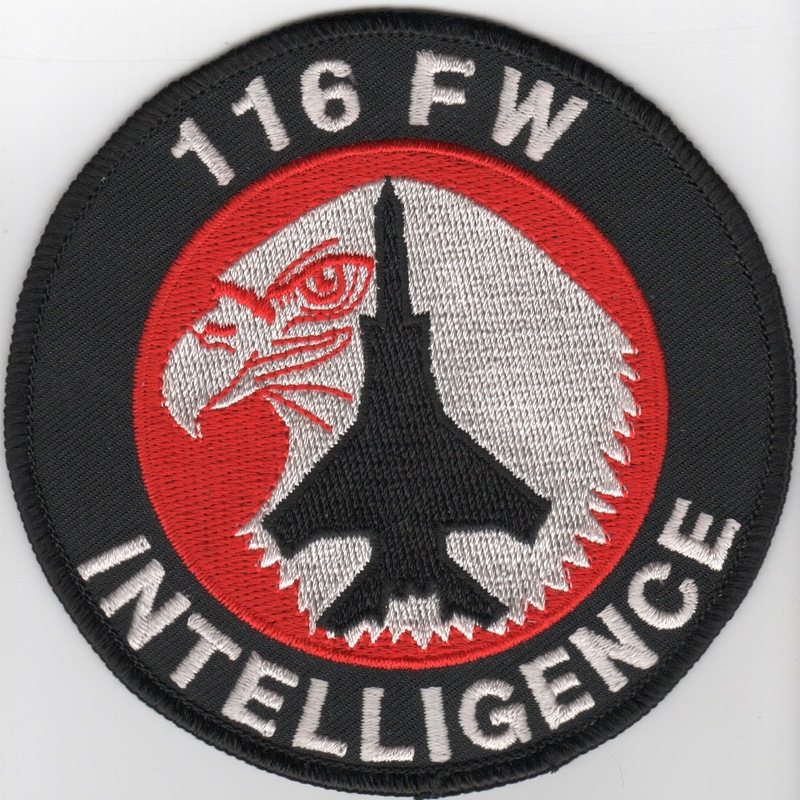 This is the 116FW Intelligence patch created for the guys/gals that provided necessary information on targets, threats and scenarios. This is an original patch, not some reproduction. They were found (in very limited supplies) in a trunk at the squadron during their 75th Anniversary celebration in July 2016. Get one while they last, as these originals will be gone soon. This patch does not come with velcro attached. 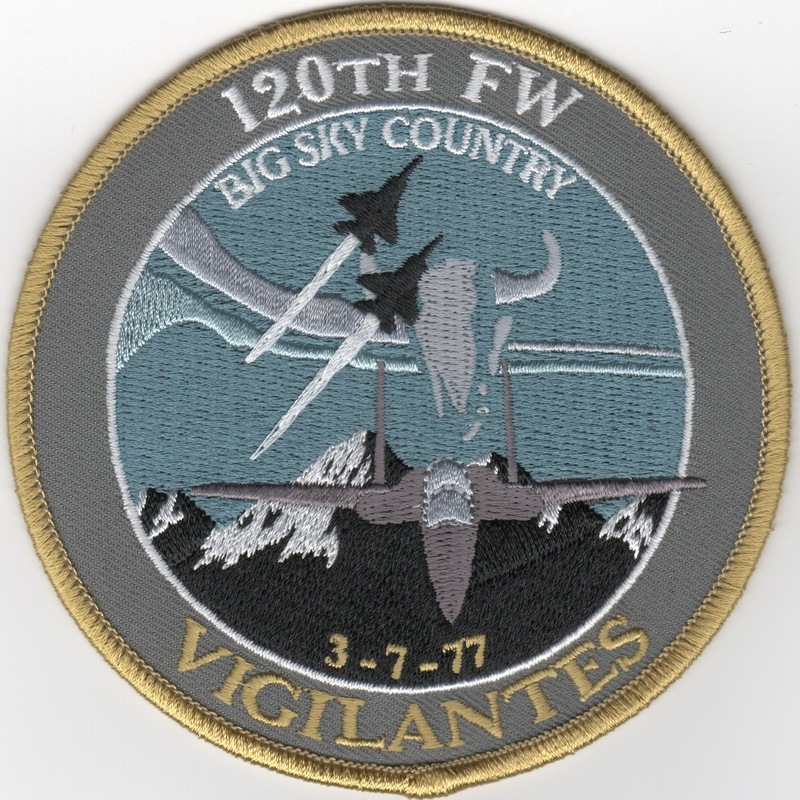 This patch was created for the 120th Fighter Wing out of Montana. It says 3-7-77 and VIGILANTES along the bottom. They fly the F-15C. The 131 Tactical Fighter Wing was assigned to the Air Force's Aerospace Expeditionary Force 9. The Wing's mission was to achieve and maintain air superiority with the F-15 Eagle aircraft. 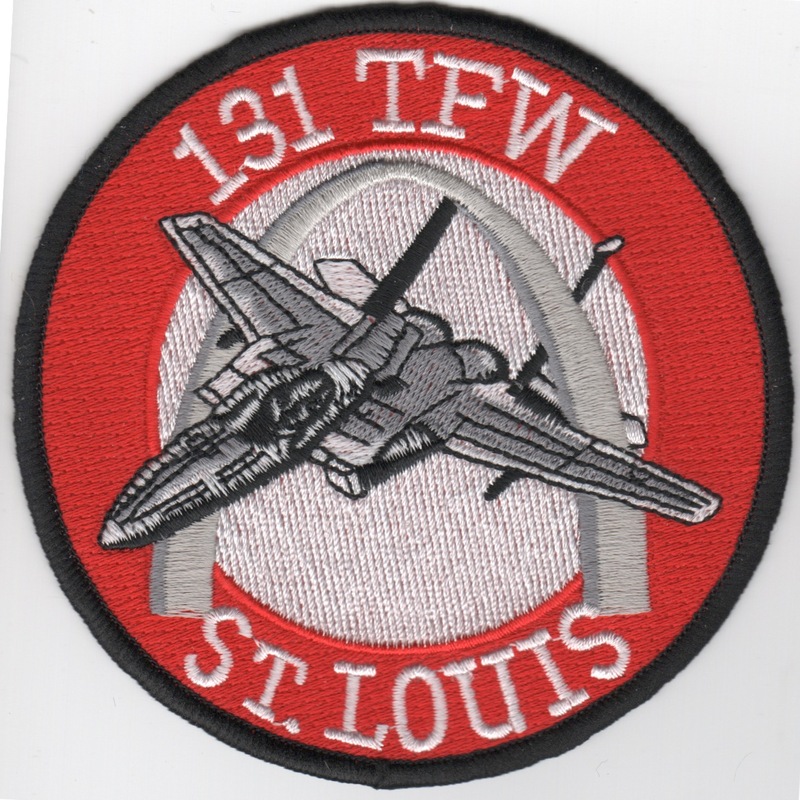 This patch depicts a "gray" F-15 (A-D were called "Light Grays" going through the St. Louis Arch and does not come with velcro attached. The 131 Fighter Wing is assigned to the Air Force's Aerospace Expeditionary Force 9. The Wing's mission is to achieve and maintain air superiority with the F-15 Eagle aircraft. 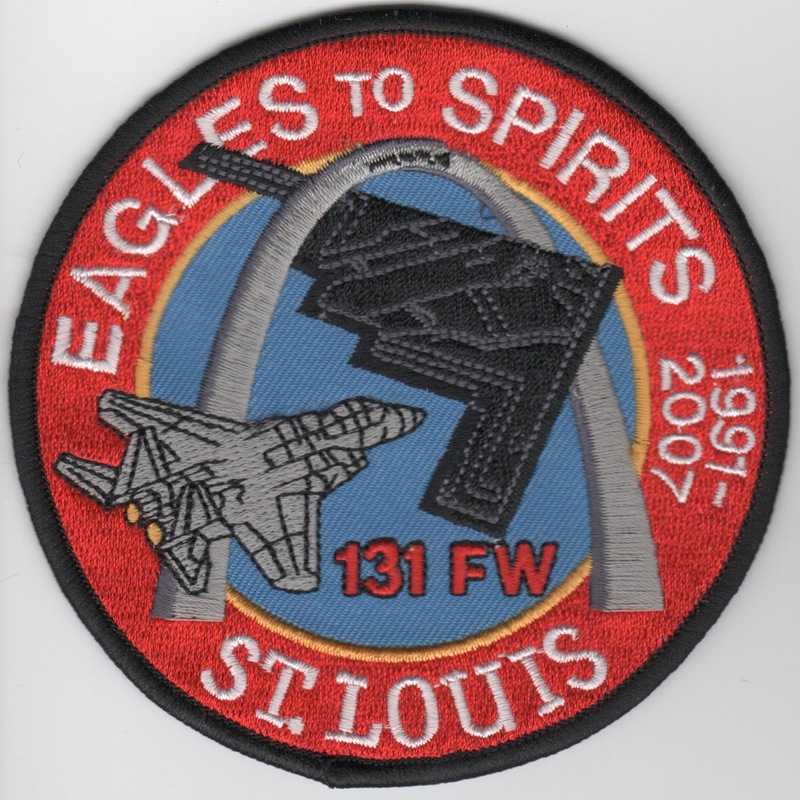 This version of the squadron patch shows the black silhouette of the F-15 inside the St. Louis Arch and does not come with velcro attached. The 131 Fighter Wing is assigned to the Air Force's Aerospace Expeditionary Force 9. The Wing's mission is to achieve and maintain air superiority with the F-15 Eagle aircraft. 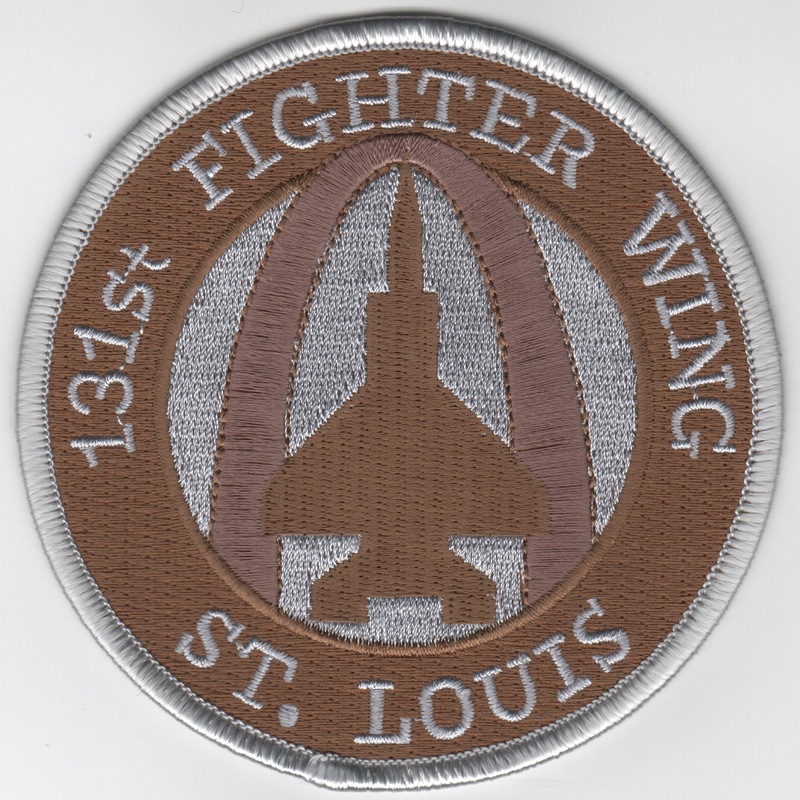 This is the desert version of the squadron patch that shows the desert brown silhouette of the F-15 inside the St. Louis Arch. This patch does not come with velcro attached. 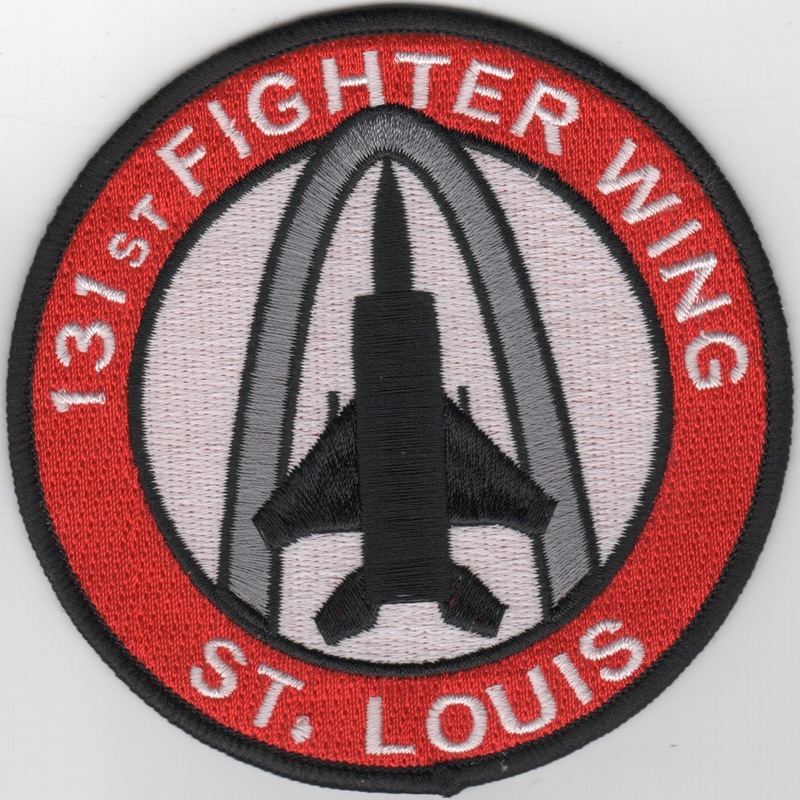 This patch was created by the 131FW to commemorate the transistion of the F-15C to the B-2 for the wing. It says "Eagles to Spirits" across the top with the dates: 1991-2007 and does not come with velcro attached. This is the deployment patch for the 325th Fighter Wing stationed at Tyndall AFB, FL. It is the RTU for the F-15C and says "Checkertail Clan" at the bottom. This is the subdued version of the Wing Crest patch for the 325th Fighter Wing stationed at Tyndall AFB, FL. It is the RTU for the F-15C. This is the desert version of the 363rd Air Expeditionary Wing crest patch. Homepage | Order F-15C WING Patches!